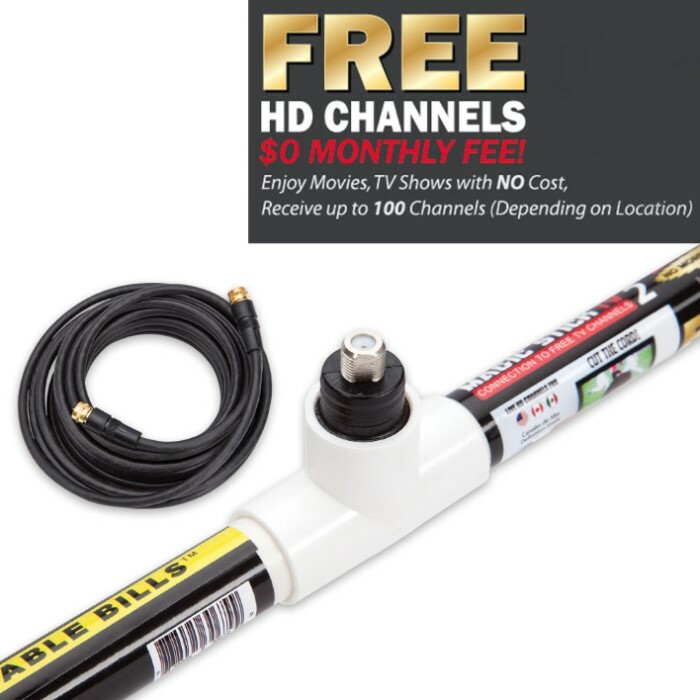 Magic Stick TV 2 HD Antenna | BUDK.com - Knives & Swords At The Lowest Prices! 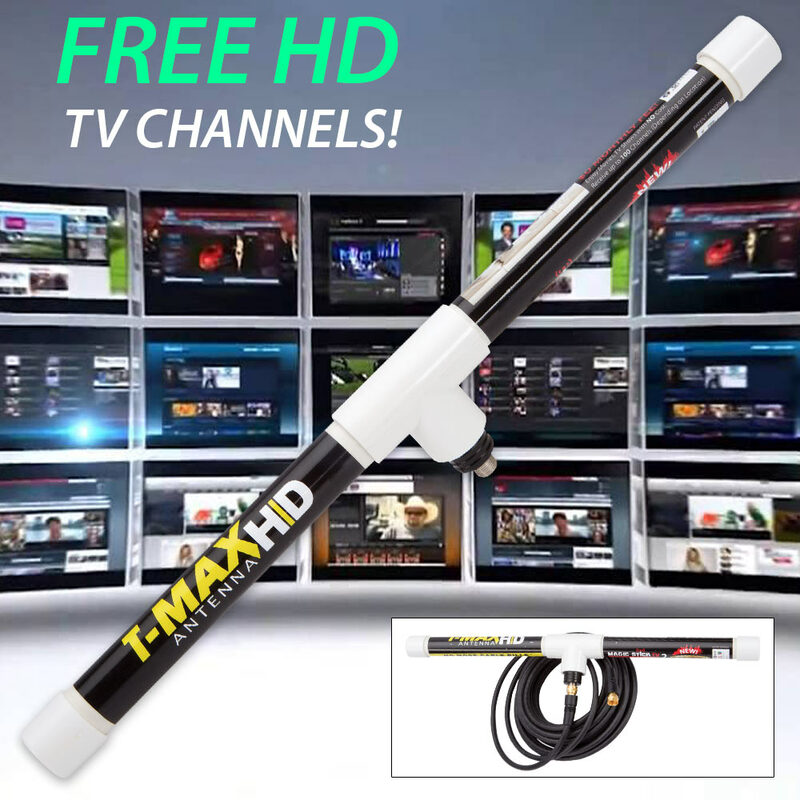 Get live HD local broadcast channels for free right now with the Magic Stick TV 2 HD Antenna. 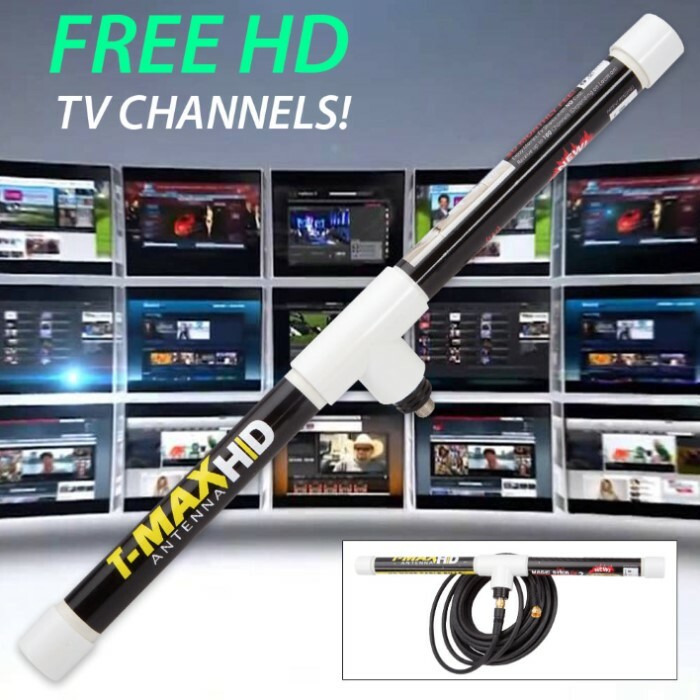 This incredible new slim “T” edition of the popular Magic Stick is engineered to optimize the reception of live, free UHF and VHF digital television signals. It's multidirectional and receives over-the-air (OTA) signals from all directions. It's a must-have for cord cutters! Designed for maximum range and clear HD signal reception, it installs in minutes - either outdoors or in - and is perfect for home, boat, RV and camping. The super thin design allows you to place it anywhere and no power is required. Best of all, it works immediately with smart TVs and streaming media players and requires no monthly fee or expensive accessories. CRT TVs (not flatscreen) manufactured before 2006 require a converter box to be compatible with the Magic Stick. 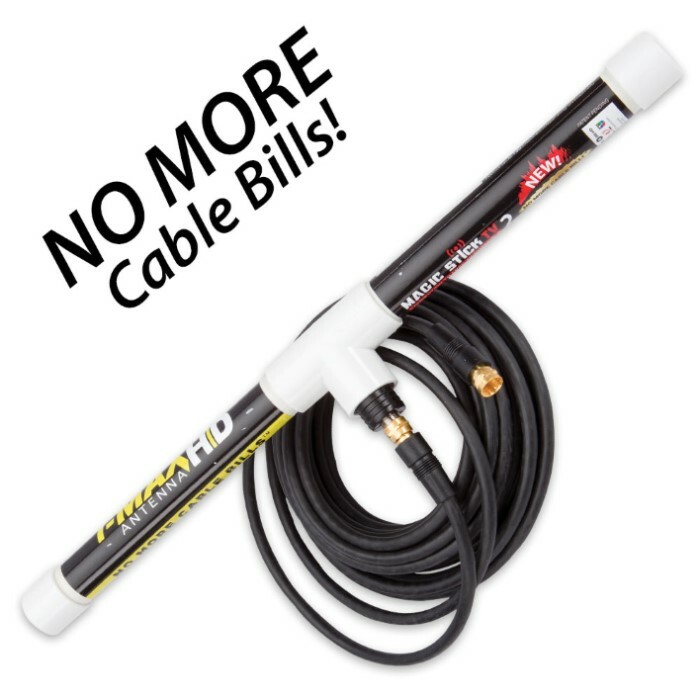 The Magic Stick 2 comes with 16 ft of micro coaxial cable and window clips to mount on glass.